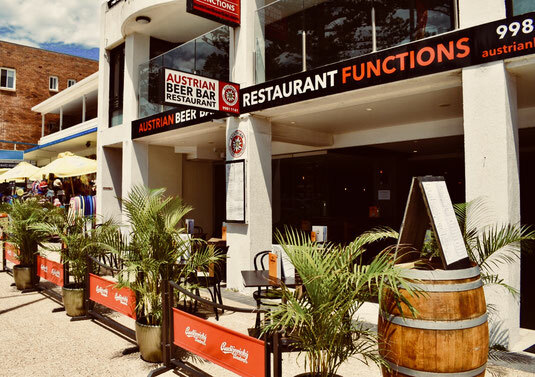 Since July 2017, we introduced authentic Austrian cuisine to Dee Why. 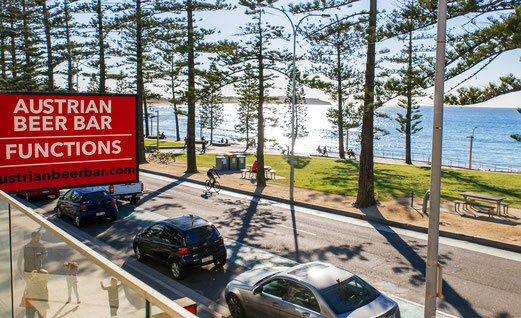 With a stunning view overlooking Dee Why Beach we have one of the best location at The Strand. Enjoy the traditional European flair with our famous six world known freshly poured German beers on tap. our team will try to make your dining experience as pleasant as possible. forward to introducing ''Après Beach Bar'' and Austrian traditions to you. We offer you traditional meals from Austria, as well as other European Specialities. We hope you enjoy your time at the Austrian Beer Bar & Restaurant. Come and celebrate Mother's Day with us! YES! We have a private function room with overlooking Dee Why beach and YES! you can do your own function.